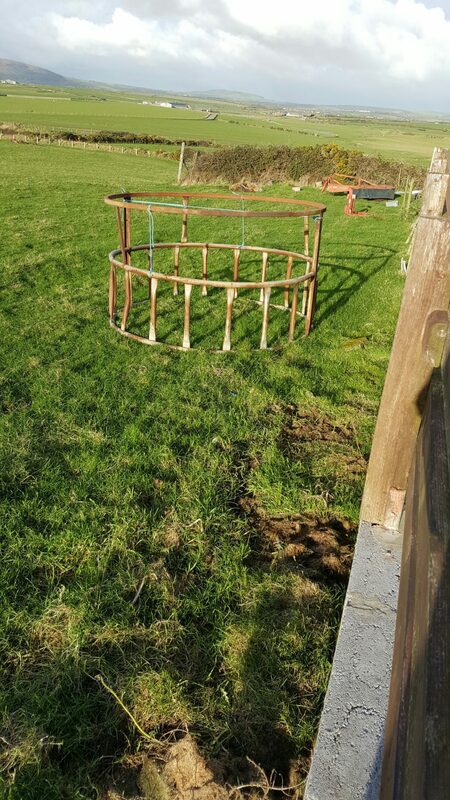 Inspired by old metal round silage holder for cattle. 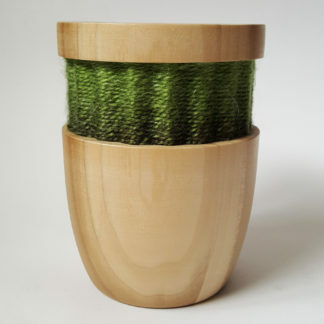 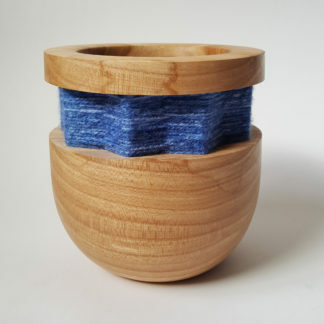 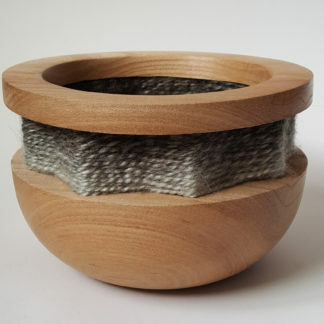 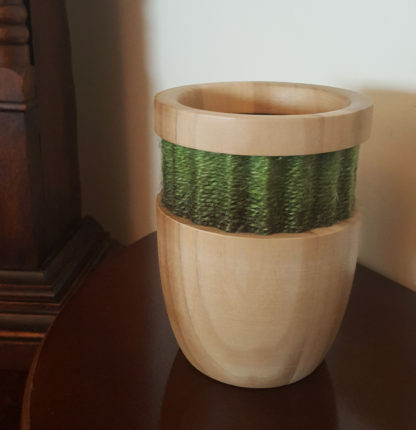 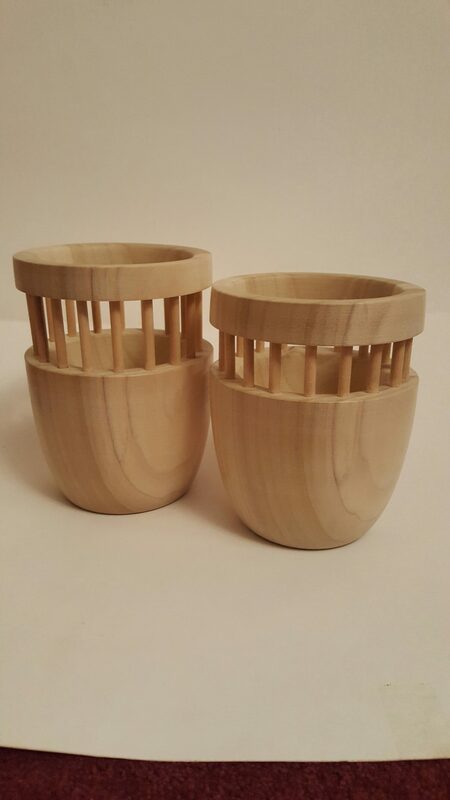 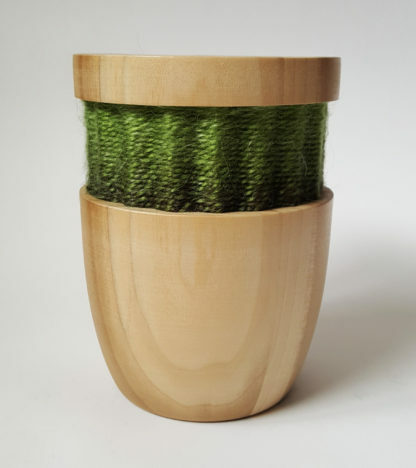 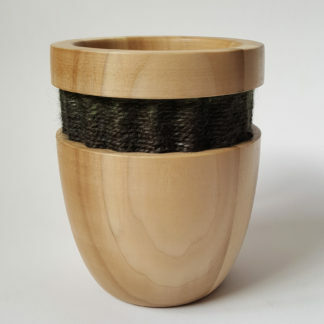 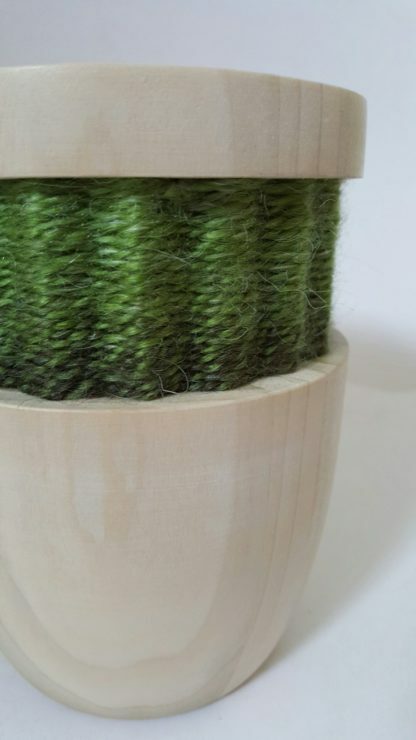 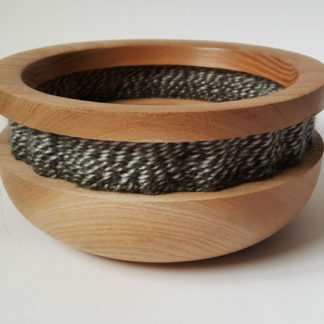 Hand made wood turned tulip wood vase weaved with green wool. Inspired by old metal round silage holder for cattle.